March means NCAA basketball, green-themed 5ks, and spring break. For the world of craft beer, it means we're already making our summer playlist of beverages complete with crafts, cans, and spiked seltzers. Here's what we're excited about - and you should be, too! When Leinenkugel's Summer Shandy went national in 2013, it created a firestorm of fanhood and brand loyalty. Shandymonium is what the industry refers to when amping up to restock shelves and draught lines. Summer Shandy, a wheat ale mixed with lemonade flavor continues to appeal to a wide mass of consumers and look for the beer's iconic return to signal the start of spring. Forget Robins. In this industry, we watch tap lines! 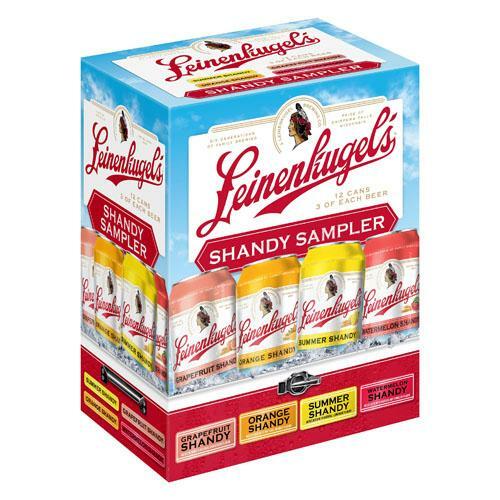 Look for the Leinenkugel's Shandy Sampler featuring three flavors alongside the flagship: watermelon, orange, and grapefruit. Win a Leinie's Prize Pack! Enter the Shandymonuim sweepstakes here. If you can't go on spring break, bring the island to you. 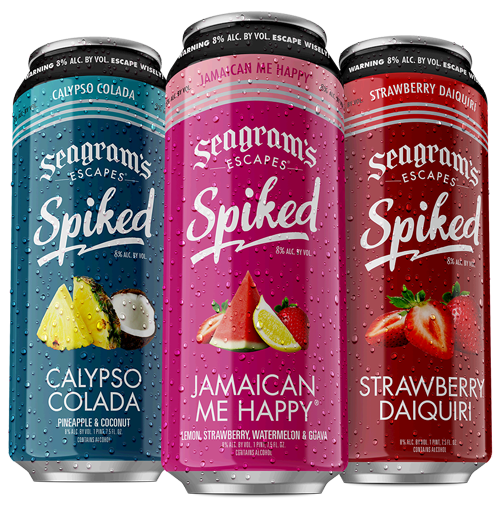 Seagram's Escapes Spiked flavored malt beverages combine fun flavors with a higher ABV of 8%. Add Jamaican Me Happy, Calypso Colada, and Strawberry Daiquiri to your cooler for a vacation state of mind. For a lighter take on a non-beer alternative, hard seltzers continue to meet the taste bud needs of consumers who love the non-boozy alternative like Klarbrunn and Bubbly. 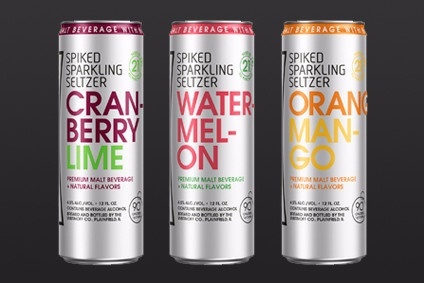 White Claw and Smirnoff Spiked Sparkling Seltzer are two brands that offer a refreshing take on summertime sipping. White Claw is available in natural lime, black cherry, and grapefruit while Smirnoff Spiked features flavor collaborations including orange mango, cranberry lime, and watermelon. Summertime is the best time for beer - as are the other three seasons - but there's something extra special about summer. It embodies kicking back, relaxing, and enjoying the long days to the fullest. With that in mind, I created the ultimate 12 pack sampler of craft beer to celebrate the upcoming season and to encourage you to browse the shelves next time you hit the liquor store to try new breweries, brands, and styles. Enjoy! Castle Danger Summer Crush - beer brewed especially for summer with a pleasant lemon flavor and aroma. The Two Harbors, MN-based brewery says: Like a Summer Crush back in the day, or Minnesota’s short summer season, this beer won’t beer around for very long. Third Street Honey Do - a refreshing wheat beer with a crisp honeydew melon flavor. A hazy wheat that’s subtly sweet - from Cold Spring, MN. Paulaner Hefe-Weizen - the #1 wheat beer in Germany, it has a hint of banana aroma with a trace of mango and pineapple to balance sweet and bitter. Fat Tire Belgian White - for the first time in 25 years, New Belgium of Fort Collins, CO introduces a new family member with its Belgian White. It's made with Seville oranges and Indian coriander. Summit Dakota Soul - a Czech-style pilsner new to the St. Paul, MN brewery's 2018 lineup. Dakota Soul features a biscuity, honey, and graham taste with a side of floral, slightly spicy hops. Twisted Tea - while not technically a beer, I'm adding this hard iced tea to the list for its classic summer flavor - Arnie Palmer with a kick, anyone? I'm partial to the original, but the brand has nine flavors including a party pack sampler. Schell's Fort Road Helles - a lightly golden hue combined with malty, herbal spice-type characteristics. This German pale lager from Minnesota's oldest brewery in New Ulm is an easy drinker with the right amount of hops to balance out the rest of your fruit-forward summer beer list. Insight Crazy Aunt - one of those beers when you hear about it, you have to try it. Crazy Aunt is an ale brewed with juniper, coriander, lime juice, and tonic water. And yes, it tastes like a G&T - gin and tonic - just like the Minneapolis-based brewery intended. Leinie Canoe Paddler - there's more to summer for the Chippewa Falls, WI Leinenkugel family than Summer Shandy. Canoe Paddler is a take on a German classic, a true Kölsch-style beer is brewed with a touch of rye for slight spice. Its bio says it’s perfect for winding down and relaxing. Boulevard Wheat - from Kansas City, MO, this American unfiltered wheat beer includes natural citrus flavors and an unmistakable cloudy appearance. Stiegl Radler - real grapefruit juice gives this refreshing Radler (mixed beer drink) its natural amber cloudiness and pleasant tangy taste. Brewed in Austria, it's dubbed the naturally fruity thirst quencher. Beaver Island Check Pils - it's a light combination of Bohemian malt and Czech Republic hops. Originally an ode to Hockey Day Minnesota, the St. Cloud brewery decided to give Check Pils its turn in the sun and will feature the beer in the brand's first 12-pack of cans just in time for summer.